CPA Elites - CPA Marketing Forum CPA Marketing, Help Desk And Experiences Main CPA Discussions & Elites Helpdesk CR decreasing dramatically.. 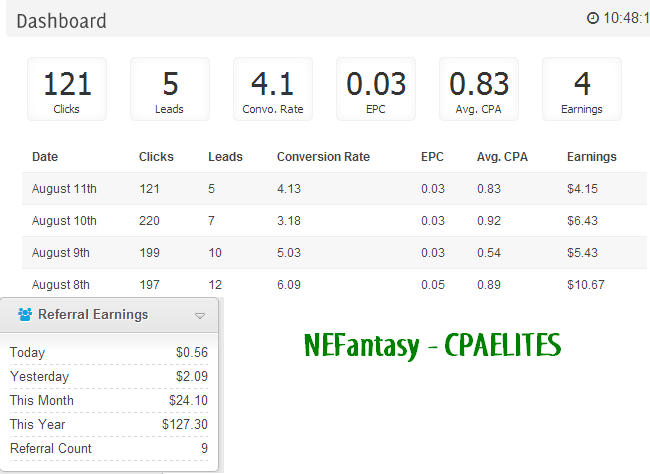 Okay so I use to have around 8-13% CR in Adworkmedia, but I changed due earnings from my referrals on Adnooka. I optimized a bit and the first few days on adnooka were great. But the days started going and the CR started decreasing and so did the EPC, well most of the days. I got HQ videos, partnered with youtube so nice thumbnail, no voice, but amazing program design + song. Good ranking amount of views and likes. I also got a Website which was made on Weebly with a custom .net domain and some amazing editing which I did. Adding even testimionals to the website. But still the CR proven to be small.. Even back when I didn't have a .net domain I had better CR. The traffic is improved, more US and UK clicks. Less on low paying countries as well..
PS: I used Link locker at AWM and now I use File Manager at Adnooka! The problem is that I want Bank Wire. I might change from Adnooka as soon as possible. AWM is good place? i use adnooka few days and it works really good better then sharecash atm. I suggest you this optimize your offers and your CR will increase again.